Walking the Mersey Way on the North Shore of the River Mersey you reach the disused lighthouse at Hale Head. The present structure was built on the site of an earlier lighthouse dating from 1838 and was completed in 1907. Following its decommission it became a private residence. 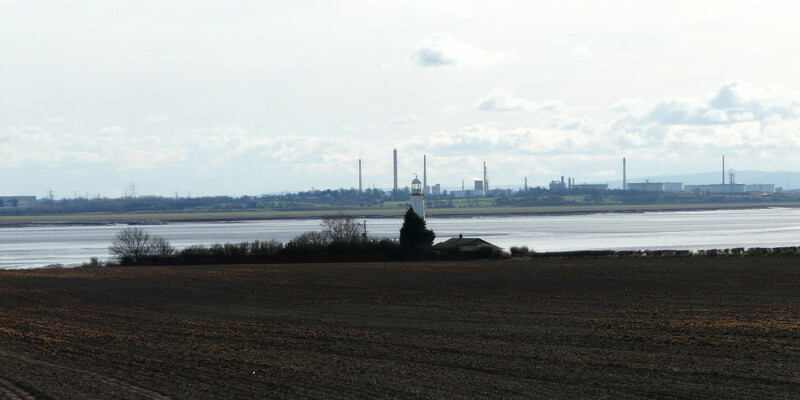 It is an isolated vantage point with views across the river to the Frodsham and Helsby Hills and a place to observe the flocks of waders and wildfowl in flight and on the mudflats. This is usually best about 1.5 hours before and after a high tide. There are sandstone outcrops and a small sandy beach, a pleasant place for both recreation and study. Hale Lighthouse with views across the Mersey. View from the East, showing the outcrop on which the lighthouse is built. Naturalists and others often make a diversion from the main pathway and descend to the shore to look at the geological bedrock which has been exposed at the surface as outcrops. In fact, the Lighthouse itself is constructed on a sandstone outcrop. These are sandstones formed approximately 200 to 251 million years ago in the Triassic Period when Britain was covered by a tropical desert. The local environment was previously dominated by rivers which carried hard quartzite pebbles which flowed north from the Midlands. These pebble beds are found scattered in certain layers but are less abundant on the north side of the river than the south side in Cheshire. Interbedding can be found where the river currents flowed in different directions as the river channels meandered over the plain. Looking at the sandstone cliffs at Hale Head you can see contortions that were made by slump structures. 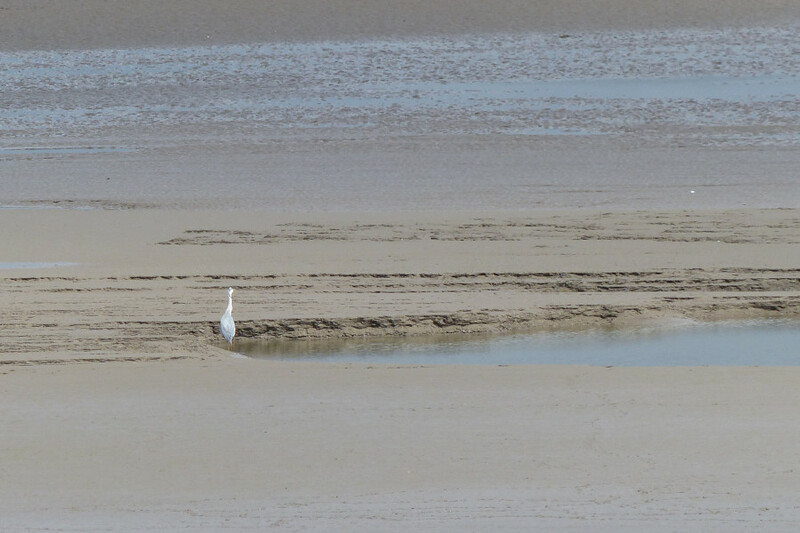 If sand comes to rest at slight angles on the edge of a river bank such as the Mersey, it frequently slips down the face of the bank and layers of sand roll up into slump structures. The sandstones being both porous and permeable have played an important part in water supply through wells and springs. The most extensive deposit resting on the surface of the older sandstone is Boulder Clay or Till. These deposits were laid down by various natural processes of action by ice, water and wind. Superficial deposits were formed up to 3 million years ago in the Quaternary Period, a time when the local environment was dominated by wind-blown deposits. Glacial sand and gravel is easily differentiated from the wind-blown deposits by the size of the larger pebbles mixed in them. Gravels differ from the boulder clay because the pebbles are more rounded from wind erosion, transporting and depositing sand and silt-sized material than the larger shaped glacial boulders. 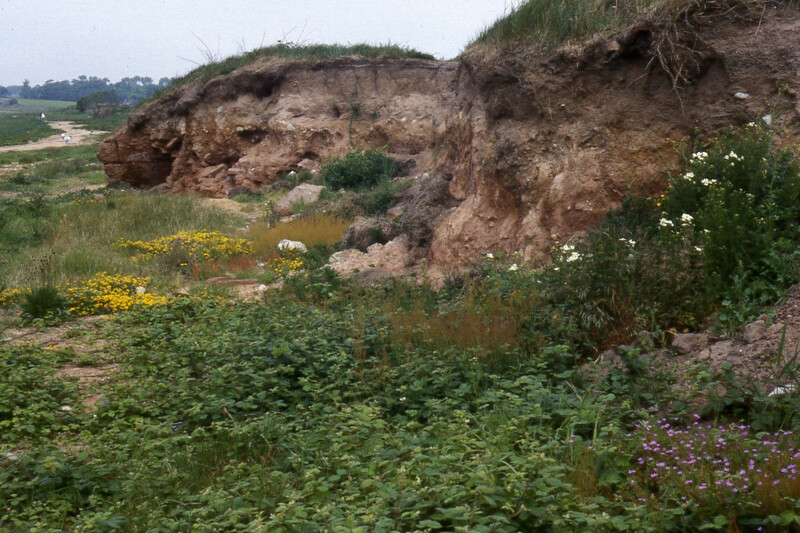 One of the least attractive geological features of the Hale and Mersey shoreline is the mud deposited by the tidal action of the river, alluvium. 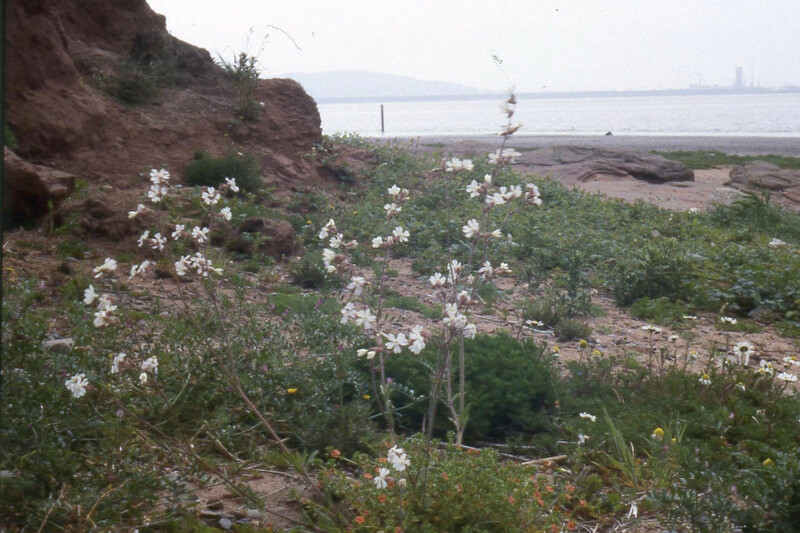 However the alluvium is the foundation for the saltmarshes and other habitats on which plants and animals depend. 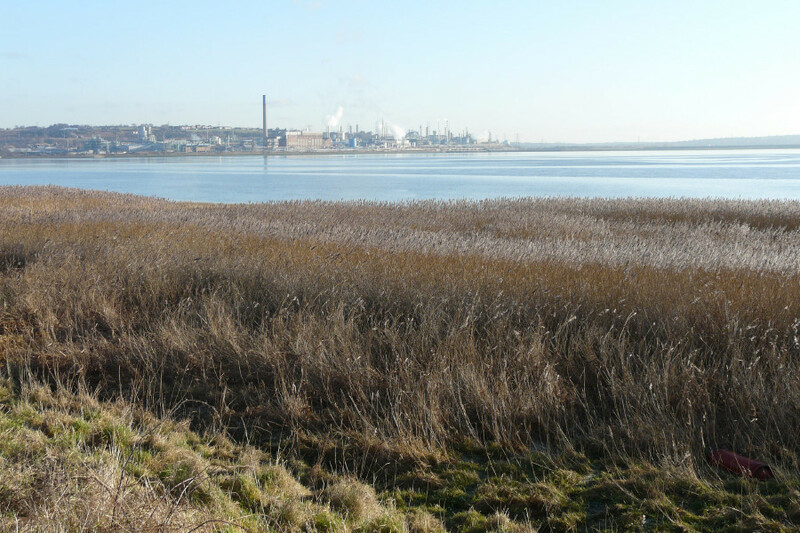 The Mersey Estuary is characterised by a mixing of fresh and sea water generated by the tide’s ebb and flow. Only plants and animals with suitable adaptations can tolerate the ever-changing environment. 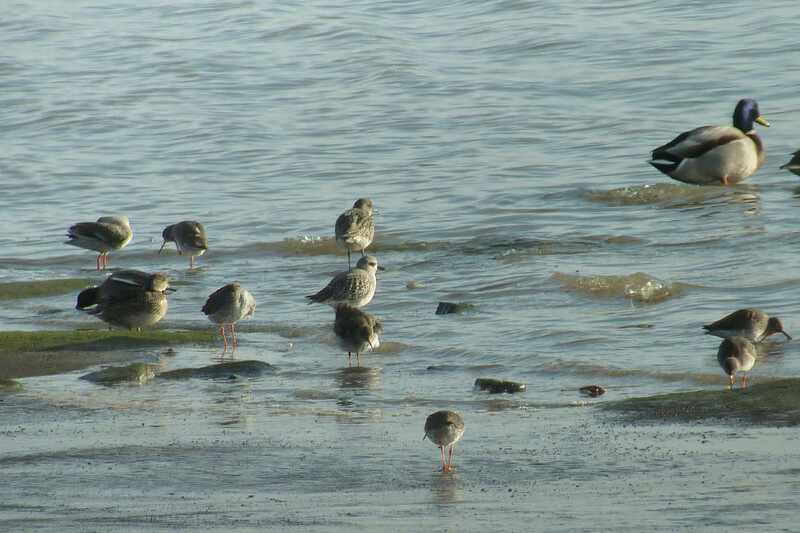 The mudflats contain organic matter on which invertebrates (detrivores) feed which in turn are fed on by larger invertebrates. 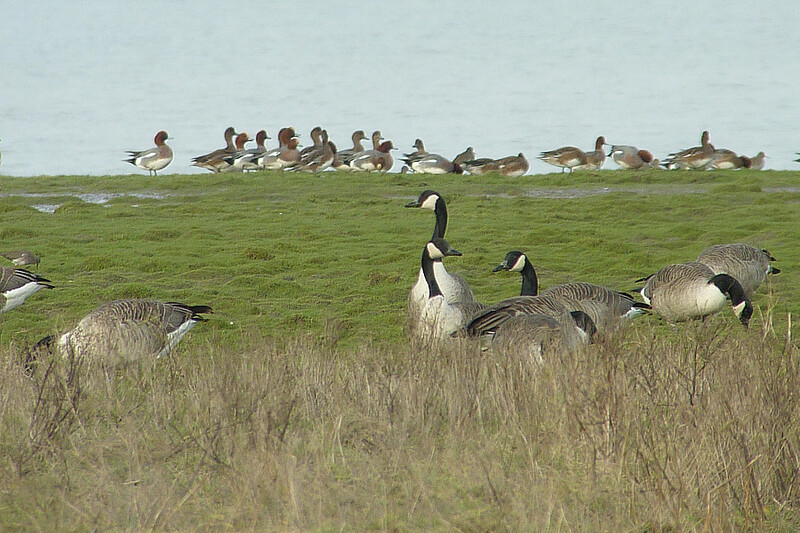 Migratory waders and wildfowl feed on these invertebrates. 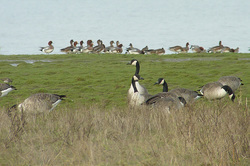 Canada Geese and Wigeon graze the Saltmarsh. 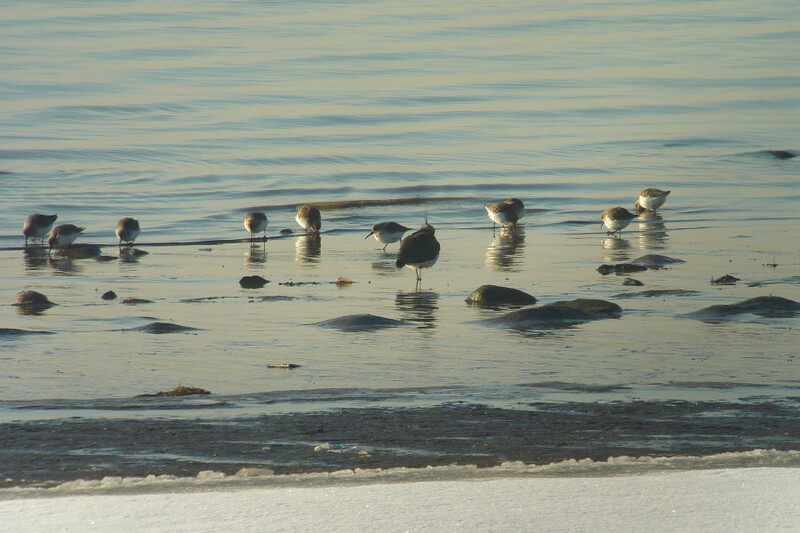 Where the river currents are stronger, sand is deposited and have fewer resident invertebrates. Where the currents are at their slowest, sediment builds up and is only covered infrequently by the tides. 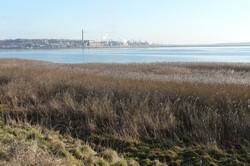 These high mudflats are colonised by salt tolerant plants to form the saltmarshes. 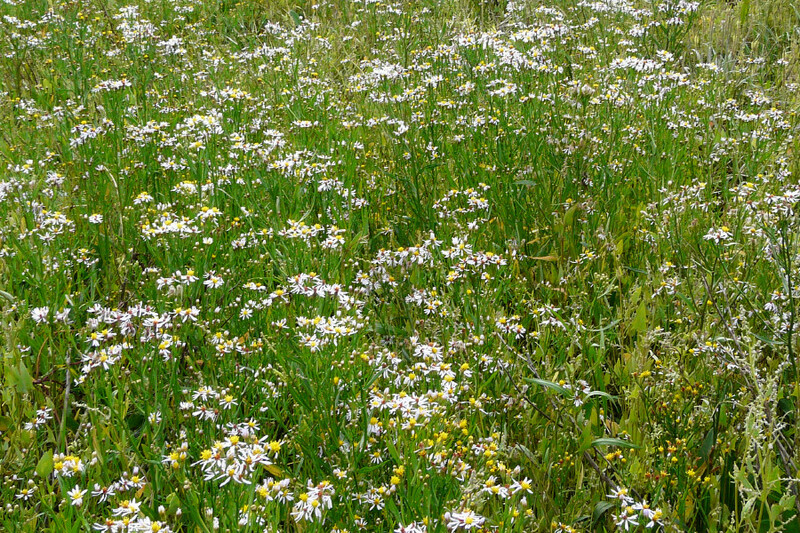 There is a general pattern of zonation within most saltmarshes which provide a rough guide to species of plant and animal found there e.g. 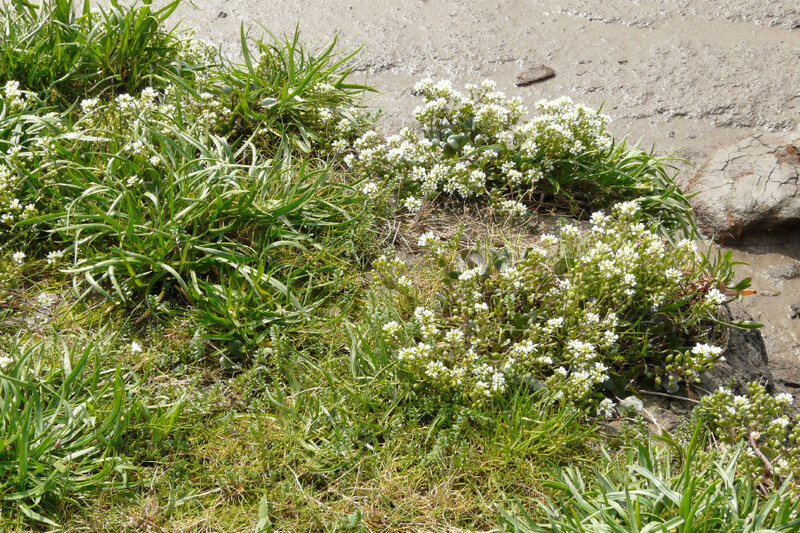 Sea aster Aster tripolium, Scurvy Grass Cochlearia officinalis and Sea spurrey Spergularia marina is found on the low marsh whereas Common reed Phragmites australis and Marsh mallow Althaea officinalis is found above high water thereby creating different food chains. 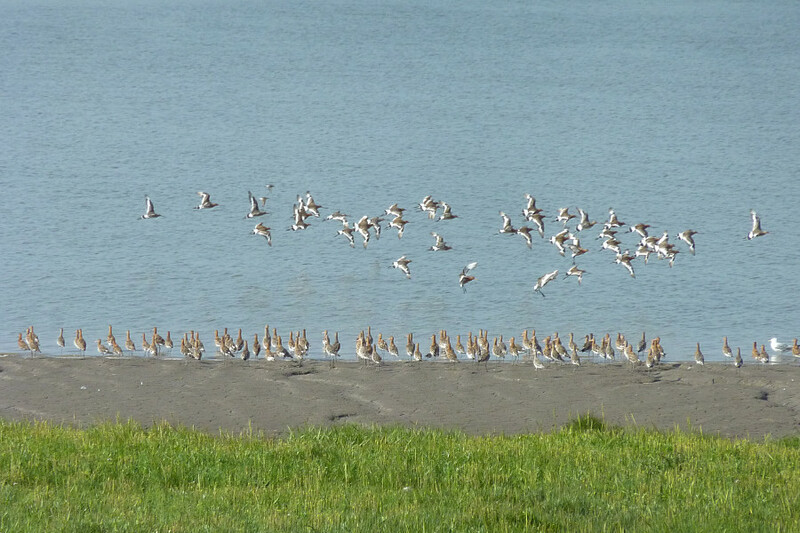 The conservation value of the estuary shoreline is recognised in its designations of Special Protection Area (SPA), Ramsar site (wetland of international importance) and Site of Special Scientific Interest (SSSI) which afford it some degree of protection.